Let’s be honest, Christmas isn’t really Christmas without a slight overindulgence. 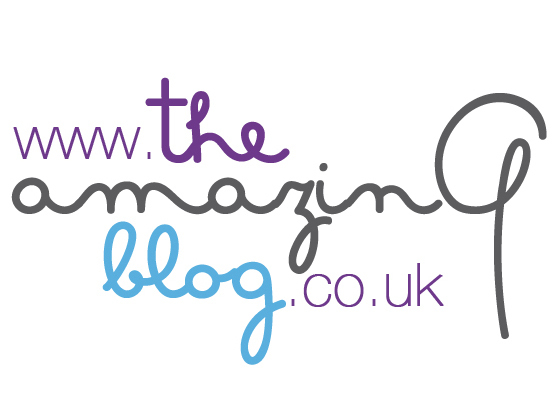 Here at The Amazing Blog we are not the type to turn down a piece or two (or three). We’ve searched for the most interesting brands and flavours, including Paxton, Chief Chocolate Officer, Helen’s Hamper , Urban Village and Stateside Treat Emporium. 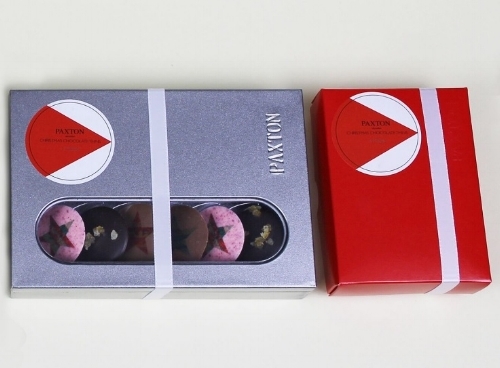 Paxton’s Christmas chocolate collection has a mix of 4 delicious and unique festive flavours. These are white chocolate, sage & cranberry, Milk chocolate, orange & Cardamom, Milk chocolate, Orange & Panettone and Dark chocolate, Orange & Ginger. The medium box, which we received, has 12 giant button-like shapes, the sleek metal design alongside the mature flavours makes it extremely sophisticated. These sizes are perfect for a table top to snack on and the interesting flavours means you don’t have too many at one time. They also come in a small size which is 6 pieces and a large version of 24 pieces. The medium box makes a perfect gift or to keep for yourself, it is £15 available here. There’s not much better than wine and chocolate, however sometimes it can be hard to find the perfect slice for your favourite glass. Chief Chocolate Officer have got you covered. They have created a selection of chocolates that match specific grapes used to make wine. The individual flavours like Fig, Smoke & Pink Peppermint are matched accordingly, the other flavours included are Liquorice & Rose, Blueberry, Vanilla & Black Peppercorn, Coffee, Cherry & Cacao, Pear and Elderflower and Toffee & Orange. The chocolate is made in England and the box includes all the information for the perfect pairing of the chocolate and wine. You can purchase these here for £15.95. If you’re looking for a variety of chocolates for that wow factor, Helen’s Hampers are the place to go. They create amazing hampers from afternoon tea to corporate gifts which can all be personalised to your chocolate taste and with pictures. Our Hamper was the Christmas Chocolate hamper, including chocolate truffles, shards, bars, a lolly and champagne truffles. The different brands within the box made sure the chocolate was very varied, with milk, white and dark chocolate of all varieties included. Our favourites were the rocky road bar and the salted caramel shards! The simple black box is decorated with bright red ribbon elegantly festive and sure to put a giant smile on the lucky receiver’s face. The Chocolate hamper can be purchased here for £50. Combining beautiful designs and exciting flavours, Urban Village Chocolates are deliciously simple and yet extremely hard to refuse. We received their single-origin tasting collection, a sweet selection of hearts imprinted with pretty, modern designs, we also received the large (think giant, giant buttons) buttons, all with different patterns and a mixture of dark and milk chocolate. As well as a pack of 4 of the best-selling, award winning champagne chocolates, these luxury gold circle treats are rich and super tasty. All three a packaged in clear plastic with white labels embossed with gold writing. They are all handcrafted in St Margaret’s, Twickenham, you can buy the single origin collection here for £11.95. Last but not least we were grateful to receive a variety of chocolate treats from the company Stateside Treat Emporium, when these treats arrived it was a happy day in the office as we were all impressed with how good these chocolates tastes when they touch your lips. What we loved about these chocolates overall and were really impressed by the brand was the variety of flavours, some were unusual flavours that we would of never selected together but they work really well and the team were pleasantly surprised with how delicious they were such as their signature range which includes Maple Bacon Pancake Chocolate Bar. Another chocolate treat that really stood out for us and we all loved the design was the Popcorn Lolly, it is mixed with Belgium milk and white chocolate and the popcorn flavour is toffee it tasted like heaven the chocolate melts into your mouth and tastes really delightful and didn’t give you the sickly feeling after indulging to much. Explore the word of American inspired treats, and you can grab the maple chocolate bar here for £1.60 and the popcorn lolly here for £1.90.